An important new study in the United States has found doctors who receive just one cheap meal from a drug company tend to prescribe a lot more of that company’s products. The damming findings demonstrate the value of new transparency laws in the US, and remind Australians we’re still very much in the dark about what our doctors get up to behind closed doors. Just published in the leading Journal of the American Medical Association (JAMA) Internal Medicine, this study is well worth a look for anyone interested in the hidden influences on how doctors prescribe. Together with a host of other recent work, it adds to the growing mountain of evidence suggesting doctors who expose themselves to marketing strategies – from seeing attractive drug reps to attending sponsored “education” – are doing patients and the wider public a grave disservice. The new study took advantage of a new government-run and publicly available database which discloses all drug company payments to doctors. Researchers looked at how often doctors prescribed four popular brand-name drugs, and linked prescribing rates to how often those doctors received meals from the drugs’ manufacturer. They found that receiving just one company-funded meal was associated with a 20% increase in prescribing of Astra Zeneca’s cholesterol-lowering statin, Crestor, compared to other drugs in the same class. For two other heart drugs, the increase was in the order of 50%. For Pfizer’s anti-depressant Pristiq, taking one free meal was linked to a 100% increase, or a doubling of the rate of prescriptions. The average cost of the meals drug companies gave these doctors was between US$12 (A$16) and US$18 ($A24). And when doctors ate sponsored meals on more than four occasions, their prescribing of the brand-name drugs rose dramatically. Perhaps unsurprisingly, doctors who got more expensive meals tended to have bigger prescribing increases. Perhaps the most important caveat, as the study’s authors stressed, is that “the findings represent an association – not a cause and effect relationship". Nevertheless, the results reinforce similar findings from recent studies also using the new transparency data in the US. In March investigative journalists at ProPublica found doctors who received drug company payments or gifts – mostly free meals – wrote scripts for brand-name drugs at much higher rates compared to doctors who didn’t take industry money. In May, in the journal PLOS One, researchers found almost half of the 700,000 doctors in the US had received payments from drug companies. Specialties receiving the highest industry payments had the highest prescribing costs per patient. And also in May, the JAMA Internal Medicine published a small study from the state of Massachusetts, similarly uncovering an association between payments from industry and modest increases in rates of prescribing brand-name statins (cholesterol-lowering medication). The main concern in all the recent US studies is the unnecessary cost to patients and the health system when brand-name drugs are prescribed instead of cheaper generic alternatives. But perhaps the more serious concern is the danger of doctors prescribing under the influence of drug company marketing – which always favours the latest new drug, rather than what’s in the patient’s best interest. As The Conversation has covered recently, newer and aggressively promoted drugs can have very limited advantages over older ones, if any, and sometimes carry very serious side effects – particularly for the elderly. There is already evidence many older Australians are at risk of harm from taking too many inappropriate medicines – and there is a growing push to promote “de-prescribing”, which means taking people off drugs they don’t need. Compared to the new transparency regime in the US, Australia has fallen way behind. Under new rules some payments to some individual doctors will have to be disclosed from this August, but there are too many loopholes. As a result of horse trading about the new rules – between the doctors, the drug companies and public authorities – any funding of meals costing less that A$120 will not have to be disclosed. And if doctors who have received payments don’t want their names disclosed in August, they won’t be. Also, all of the roughly 25,000 events, including breakfasts, lunches and dinners which doctors and other health professionals regularly attend annually, will from now on remain totally secret – until there is regulatory reform. 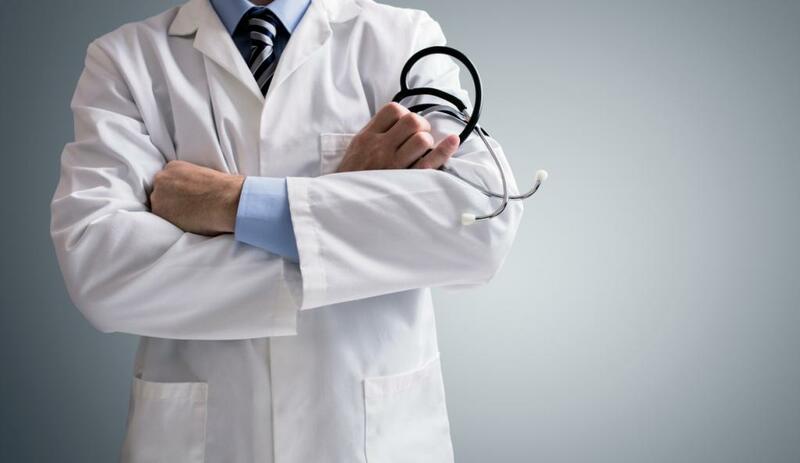 Consumer groups are angry that citizens remain in the dark, and many doctors are horrified by the wining and dining of their colleagues, with some cutting their ties: refusing to see the attractive sales reps and seeking “education” elsewhere. As others have pointed out, disclosure on its own is not a panacea, and it’s legitimate to ask why doctors should receive any free gifts or meals at all. Already there’s been one legislative attempt to enforce more independence between doctors and drug companies in Australia, and it is likely more will emerge in the future. Until then, it might be wise to inquire whether your doctor still takes the free meals – and perhaps seek your care elsewhere if the answer is yes.